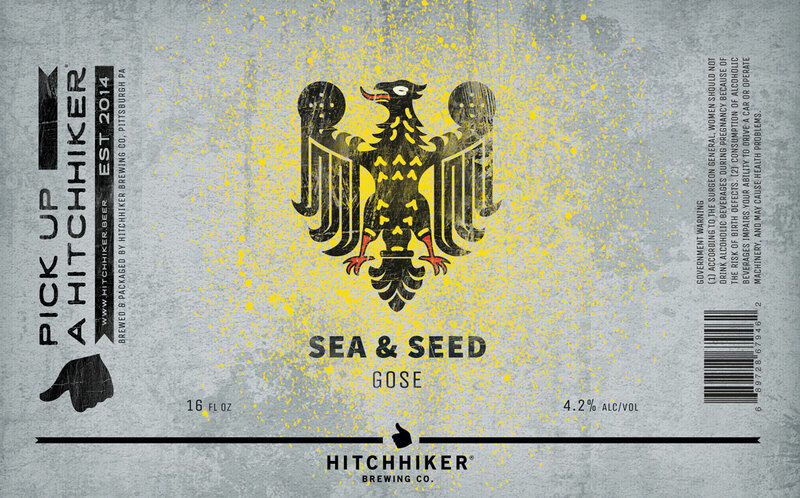 Sea & Seed | Hitchhiker Brewing Co.
A traditional German wheat sour beer brewed with coriander and sea salt. Hopped lightly with Lemon Drop. Notes of lemonade, wild flower, with a tart, mineral finish.